Over the past year NECA has been providing us with a large list of "Ultimate" figures from all of our favorite movies, games, and toy lines. 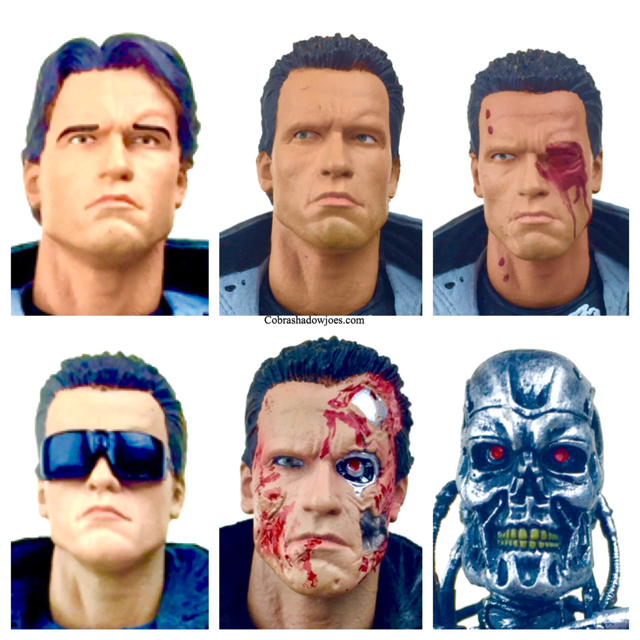 Years ago NECA created a line from the T2 movie based off the many different looks of the characters throughout the movie. 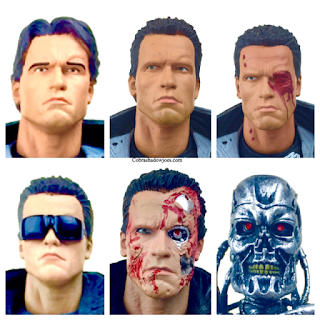 So far we have the Ultimate T-800, Sarah Connor and T-1000, and now we have the T-1000 Motorcycle Cop! 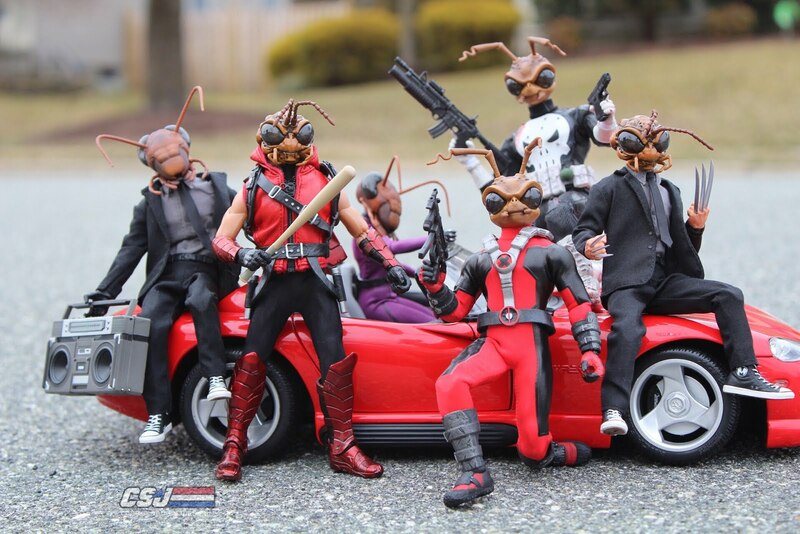 Each Ultimate figure NECA provides is absolutely loaded with weapons and extra parts to provide many different looks. 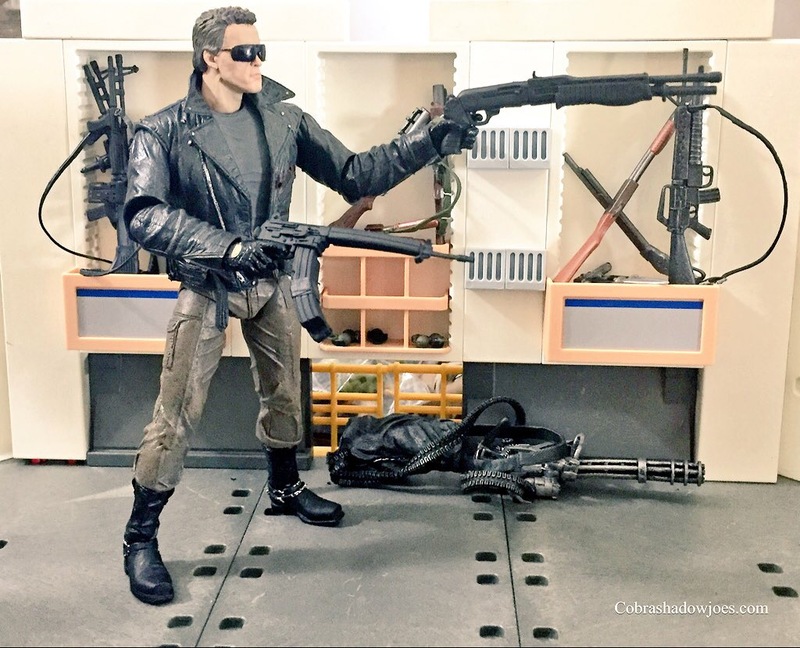 The T-1000 motorcycle cop is no exception and provides his classic look along with the MP-5 I have been waiting for! NECA continues to knock it out of the park (Steve asks me exactly how many homeruns NECA has hit at this point) with their homage figures. They have already brought us many Kenner inspired figures from the PREDATOR line, but now they have brought us our first Kenner inspired ALIENS figures. This is a highly popular line that many people collected in the 90's. NECA really went out of their way to to stay true to the original figure while adding their own special touches to the figure. 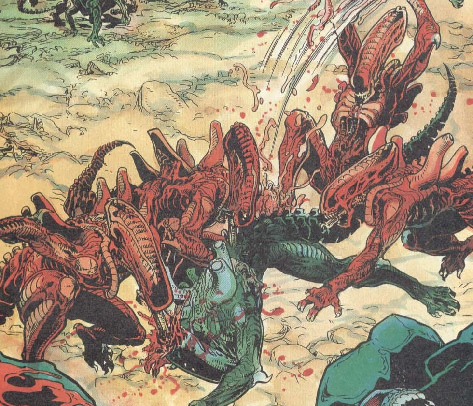 If you are a fan of comics and the Alien's franchise then you have at least heard about the Aliens Genocide story line. As a kid, this was a thrilling comic to read as I tried to understand why would humans want to go to the Aliens home planet. It's all about a drug called "FIRE" which consists of sweet Alien juice from the xenomorphs body chemistry. 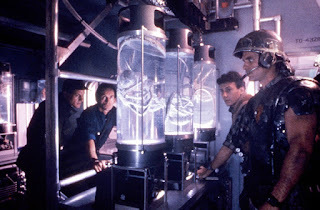 The military wants the drug (Big Surprise) and sets out to travel to the Alien home planet and steal a Queen. Talk about a death mission! On top of it when the humans land on the planet the Aliens are in the midst of a Civil War. As we have grown accustomed to NECA had a whole slew of awesome SDCC exclusives this year. Most years their exclusives are some of the most sought after of the Con. This year was certainly no different. They had three exclusives figures that people were very excited to grab. They were the TMNT Arcade Turtles and Foot sets, the ALIENS Newt figure, and of course the Cloaked Scar Predator! Scar is one my favorite Predators and I am also a sucker for the clear "cloaked" Predator figures so this figure is a match made in Heaven for me. Pacific Rim is all about Kaiju monsters attacking earth through a portal in the sea. It starts off with some great action sequences in the beginning of the movie. He is shown in night vision in the prologue of the movie fighting Romeo Blue. The kaijus from the movie are awesome and we get to see the epic size of these monsters the jaegers have to fight. Where do I even begin with these? Over and over Randy Falk and the crew over at NECA TOYS find ways to make the unthinkable happen. This year's SDCC exclusive sets are no exception. The Konami arcade styled TMNT and Foot four packs just miiiight be my favorite thing NECA has done to date. (With that said, I am certainly looking forward to the 1/4 scale movie Donatello hitting retail this fall). Those that know me know that I am one of the biggest TMNT fans out there. When I think about my childhood and toys I think about the Teenage Mutant Ninja Turtles! Over the last few years I've found some online buddies who share this passion with me such as The Sewer Den and Crooked Ninja (good guys...check 'em out). 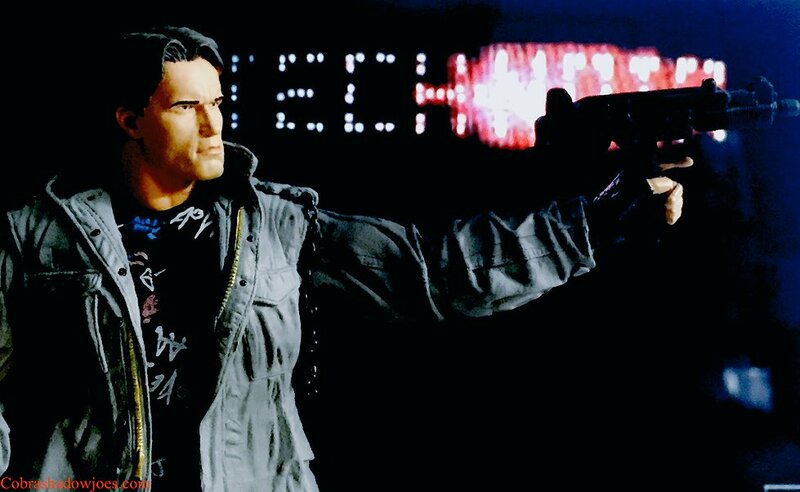 The "Tech Noir" club is fictional of course and was set up just for the scene in The Terminator. However, during filming people on the street wanted to get in not realizing it was not a real club. I think the people that wanted to get in changed their minds after seeing the movie. This figure encompasses more than just the club scene, and I think this is a classic part that resonates with everyone. Arnold melts the bouncers hand and proceeds to mow down anyone in his way of killing Sarah Connor. NECA TOYS has started releasing their Rocky figures, and they look fantastic. Many people missed out on the first Rocky figures so this is the perfect way for many of the newer fans and collectors to catch up on this series without having to deal with the scalpers on eBay! 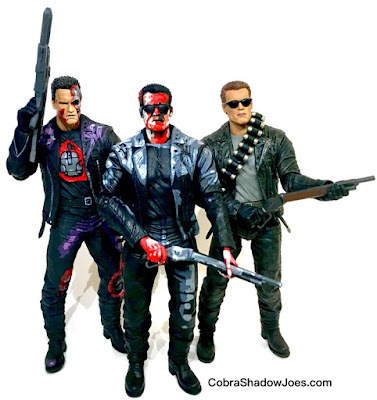 While three of the figures are re-releases one of them is all new, but we will get to that later. 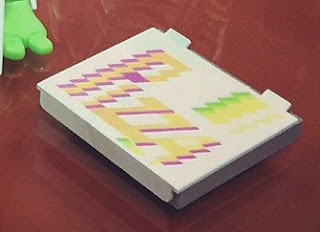 Last week we reported that there has been sightings of three new TMNT Classic Collection figures popping up on eBay and other places online. At that time, we had no news to report on these figures other than to let you know they've been spotted. "These are all TRU Exclusives. The first 3, Skateboardin' Michelangelo, Touchdown Tossin' Leonardo, and Delta Donatello are hitting TRU in 1-2 weeks." "The others are TBD –Super Mikey -Super Don -Military Leo probably fall 9/1/2016." Well, there you have it! The three Classic Collection TMNT figures that we spotted online are Toys R Us exclusive items and will be hitting shelves soon! Not only that, but another wave is also planned for the fall. You heard it here first! Also, now that you know that these are coming to Toys R Us please be sure to NOT FEED THE SCALPERS online who are asking for exorbitant amounts of money for these figures!!! 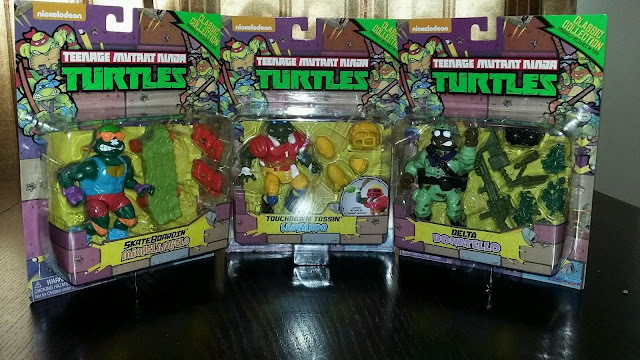 While browsing eBay I came across a listing for three new Classic Collection TMNT figures. They are Skateboardin' Michelangelo, Touchdown Tossin' Leonardo, and Delta Donatello. We have reached out to Playmates Toys for word on these new figures since Delta Don is not listed on their website, and I have not seen any news about these figures. So far we have been unable to get a response. I hope these will find their way to TRU very soon and that we will continue to see more Classic Collection figures in the future. We will keep you posted if/when we hear back from Playmates. Everyone who follows us knows that we each have very diverse toy collections. With the said, we each still have our all-time favorites. Steve's favorite always has been and will be the original G.I. JOE: ARAH line from Hasbro. My personal favorite is the original Teenage Mutant Ninja Turtle line by Playmates. As a kid I had so many of the figures and the playsets. I spent countless hours pretending to battle Shredder and the Foot Clan with my TMNT figures on the Technodrome and Sewer Lair. A few years back I was digging in the attic of my parents house and came across some of my original TMNT collection. Lots of it was missing and most weapons and accessories were long gone. Even then, finding those figures that I cherished as a kid was like finding gold. I scooped them up and displayed them in a room at my house. Around this time, my interest in collecting was already starting to grow due to Steve's toy collection. From this point on I decided that I wanted to complete my figures and rebuild the collection I had as a kid. Since then I have not only built it up to that point, but have surpassed what I had. A collector's job is never finished though. I recently went on a little bit of a vintage TMNT splurge. First, Steve hooked me up with an excellent deal on some great pieces such as complete set of the Storage Shell Turtles, Toon Shredder, and many more! A big thanks to him as he has helped me tremendously with building my collection up! In the past I have purchased a few much needed pieces for my collection from Tim at Half Shell Toys. Each time I have gone through him I have been extremely satisfied. This transaction was a few months in the making as both of us have been extremely busy with the daily grind of life! In the end, I bought three complete vehicles (Turtlecopter, Pogocopter, and Knucklehead) as well as fifteen complete figures from Tim. When you think about an Alien fighting a Predator most people will think that the Predator wins hands down. In a true one on one battle this could be the case, but the Aliens in AVP show nothing is certain. In the movie, one of the last things you start to see are the Aliens attacking humans and Predators. At this point in the movie it looks as if the Xenos are truly the best. 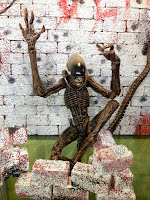 The GRID Alien picks apart two Predators before finally being taken out by the Scar Predator. We will cut the Predators some slack as this was their chance to prove themselves by defeating a Xenomorph. 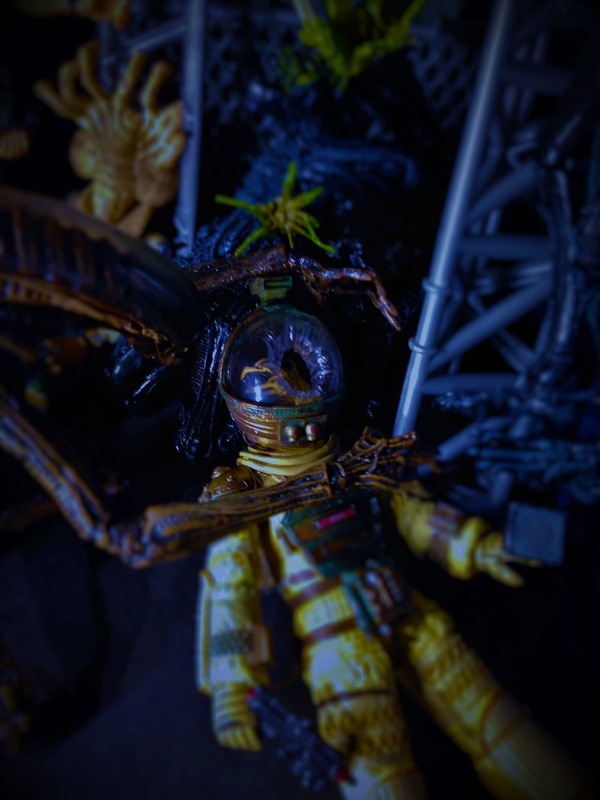 Let's take a closer look at NECA's GRID and Warrior Aliens from the movie Alien vs Predator. The Pacific Rim line may be coming to a close after 2 1/2 years, but NECA has made sure that we receive Ultimate versions from the icons of the movie. The Ultimate Striker is a very nice upgrade from the first version NECA released. The Striker is the strongest and fastest of all the Jaegers, and he really knows how to brawl. The Ultimate version comes with a lot of updates that make it worth buying even if you have the original. 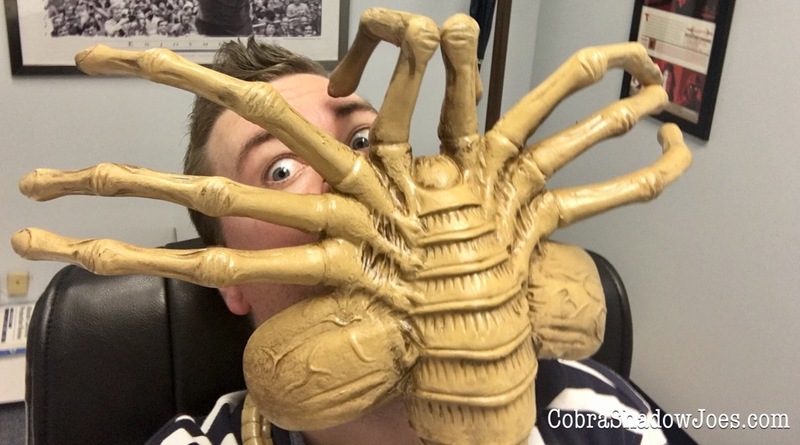 NECA, creator of all kinds of awesome figures and so much more, has added another nice piece to their collection. The NECA Dynamic Figure Stand isn't your run of the mill stand. This stand allows not only dynamic poses for ALL of your action figures, but it can also stick to glass/mirror for a unique look. We were lucky enough to receive one of these brand new stands and try it out on our NECA figures as well as some other figures from our collections. Let's just say the results were not only great, but we had a ton of fun playing with it. I was pulling figures out left and right to try on the stand. So what exactly are you getting with this dynamic stand? Let's take a look below.